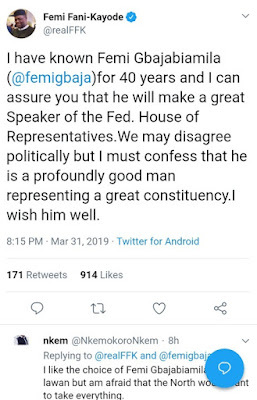 The former Minister of Aviation, Femi Fani-Kayode, has endorsed the candidature of Femi Gbajabiamila for the position of House of Representative Speaker. 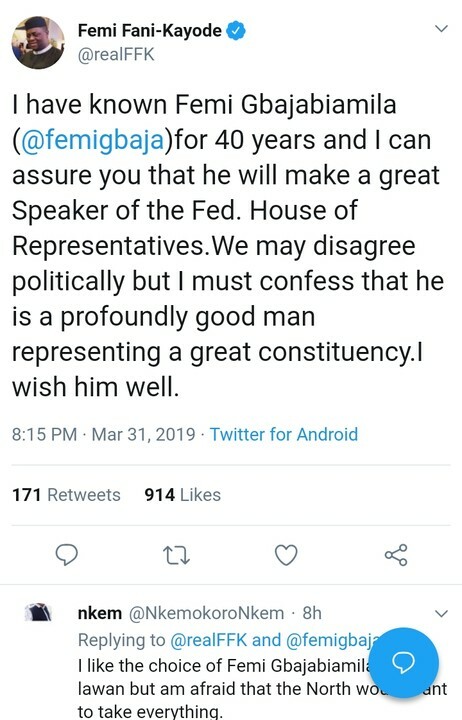 The former minister his endorsement of Gbajabiamila through a statement obtained by The Blog Nigeria. 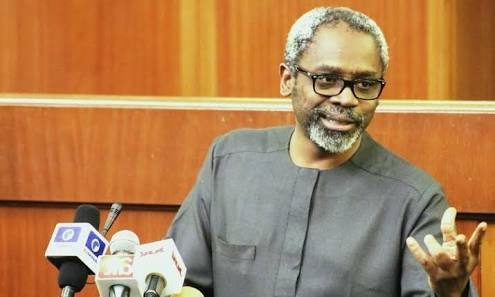 “I have known Femi Gbajabiamila for 40 years and I can assure you that he will make a great Speaker of the Fed. House of Representatives. We may disagree politically but I must confess that he is a profoundly good man representing a great constituency. I wish him well.” He said. The Lawmaker who is representing Surulere Constituency of Lagos State declared his intentions to become 10th National Assembly Speaker. The Lawmaker who lost out four years ago to the current Speaker, Yakubu Dogara is in favourite position to become the next Speaker.